You’d think that police officers charged with enforcing DUI laws would learn a lesson if they got themselves arrested for a DUI in Los Angeles or some other jurisdiction. 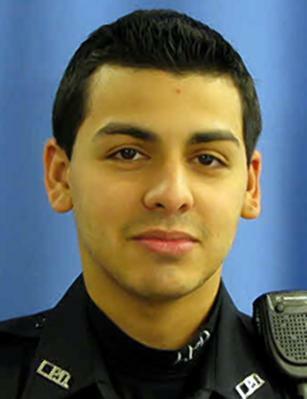 But that that wasn’t the case for Pedro Abad, Jr., age 27, a six-year veteran of the Linden police department in New Jersey. He already had two DUI arrests on his record when he got behind the wheel after partying with friends on March 20th. Shortly before 5 a.m., Abad apparently drove the wrong way on a service road and then continued in the wrong direction on the West Shore Expressway on Staten Island. One 18-wheeler managed to avoid colliding with the vehicle, but another wasn’t able to move out of the way in time and hit Abad’s Honda head on. Viggiano and Rodriguez were killed, and Abad and his remaining passenger were admitted to the hospital in critical condition. Abad had two arrests for DUI on his record. In January 2011, he put his car through a supermarket building in Roselle, New Jersey. The case never came to trial because Abad’s attorney said the police had not sent him information that he requested. Thirteen months later—in an incident caught on police recording equipment—Abad failed a roadside sobriety test when pulled over. After that incident, the state suspended his driver’s license for seven months and required him to use an ignition interlock device for four months.